As demands increase for the Infotainment System, the Multimedia Networking technology for automobile, called MOST(Media Oriented Systems Transport), has been actively applied to the automobile industry, to meet the demands of the Infotainment System. MOST is define the protocol, H/W and S/W layers to support the transportation of synchronous, asynchronous and control data in an efficient and low cost way. The existing MOST devices relied on 12C, 12S communication mode for internal bus communication but the widening bandwidth in the MOST network and additional installations in a single device required bus communication and MediaLB(Media Local bus). Majority of the existing MOST devices use I2S or I2C bus communication mode to process synchronous data (stream data) and asynchronous data (packet data). 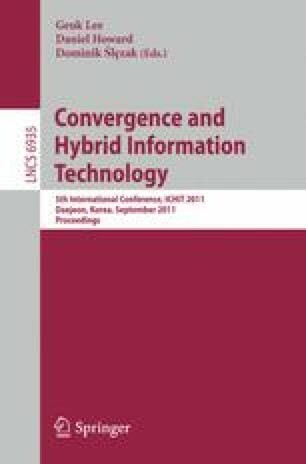 Hence, this study will take a look at control channel and transmission mechanism of synchronous data and asynchronous data by applying MediaLB mode, which is an advance from 12S or 12C bus communication mode proposed by MOST network and currently in use, suggest an efficient way to transmit asynchronous data and analyze its performance.